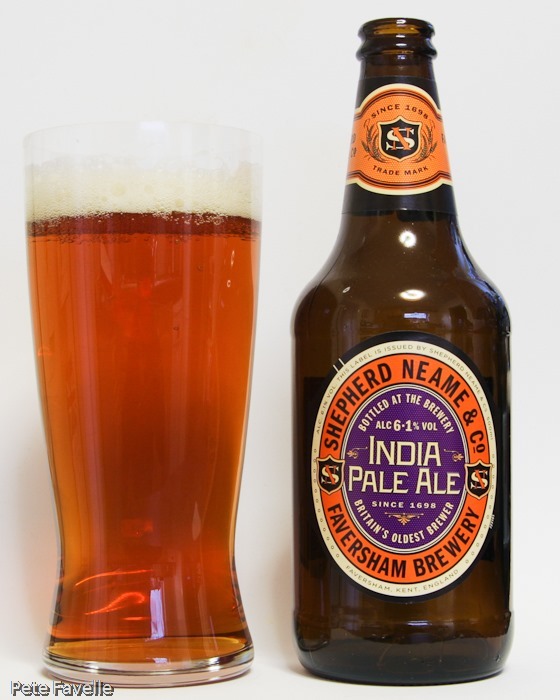 Shepherd Neame make a lot out of their claim to be Britain’s oldest brewer – their Faversham site has been the home of continual brewing for at least 300 years, and probably a good while longer. They’ve recently been delving into their historical records, and reproducing some of their historical brews. I’m happy to say that they’ve also been reproducing their historical labelling – isn’t it beautiful? 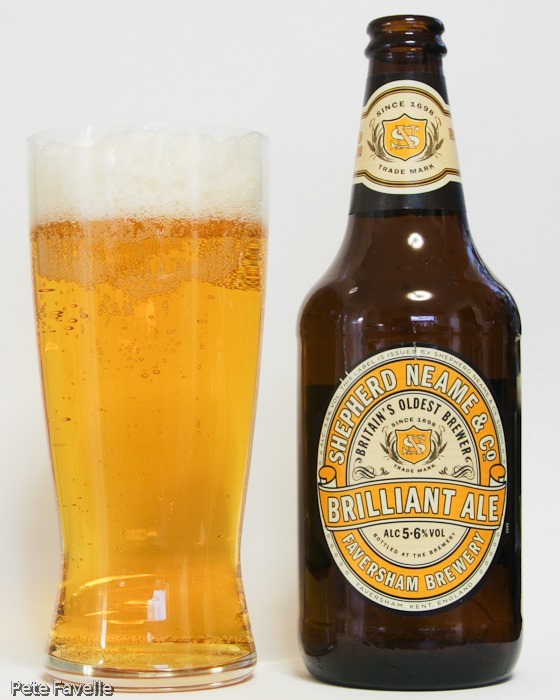 Brilliant Ale is the oldest of the bunch, based on a recipe first brewed somewhere between 1825 and 1855 – although the beer has been tweaked a little since then, with the introduction of Cascade hops. 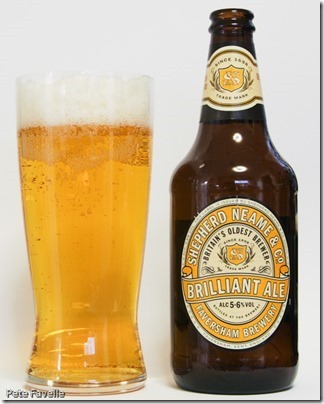 A respectable 5.6% ABV, it’s a bright, crystal clear gold colour in the glass with a thin lingering head and quite large rising bubbles. In some ways, it has the visual appearance of an over fizzy lager, but on a warm summer evening it looks like just what the doctor ordered. There’s a definite waft of floral hops when first opening the bottle, but that’s less pronounced once it’s in the glass. The aroma has some biscuity malt to it, along with some woodland fruit and an almost earthy hop character – not at all what I’d expect from a beer with Cascade in it. In the mouth, it’s light and refreshing – honey sweet on the tip of the tongue, with a gentle but balancing hop bitterness in the background that doesn’t overstay its welcome and leads into a nice dry finish. It’s a touch on the fizzy side, but not overly so and it adds to the refreshing nature. The flavours are a little short lived, but that just has you going back for another sip. Nothing spectacular, but a very pleasant and refreshing summer tipple. India Pale Ale is a touch stronger, at 6.1%. 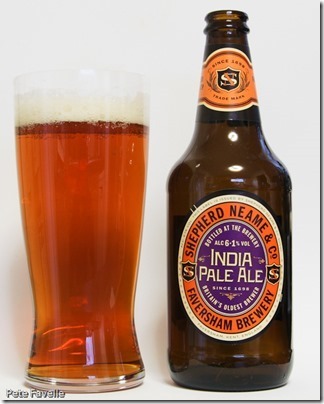 It’s a gloriously rich copper colour – not exactly Pale in my book, but nobody seems to worry about the colour of IPAs anyway – and has a fairly thin, fine bubbled head. The nose is earthy, with strawberry fruit and the sweetness of golden syrup. The flavour is curious – sweet and fruity again, slightly thick in the mouth and a slowly building but not overwhelming bitterness – not the huge hop assault that we’ve grown to expect from modern IPAs. It’s more of an old fashioned, British IPA rather than the American style that is more prevalent these days and the more I drink of it, the more I like it! Lastly we come to Double Stout, at a reserved 5.2% ABV. A deep, dark brown beer with a generous, open-textured pale tan head on it, this is a classic looking stout. The nose is full of roasted barley, with a slight suggestion of dark chocolate. Smooth in the mouth, there’s a sugar sweet start followed by a slowly growing toasted grain bitterness. It has an almost creamy texture, with a very pleasant dry finish. Overall it’s a delicious stout – probably one of my favourites so far this year – and is comfortably the best of a tasty bunch. My only question is, what makes it a double stout? 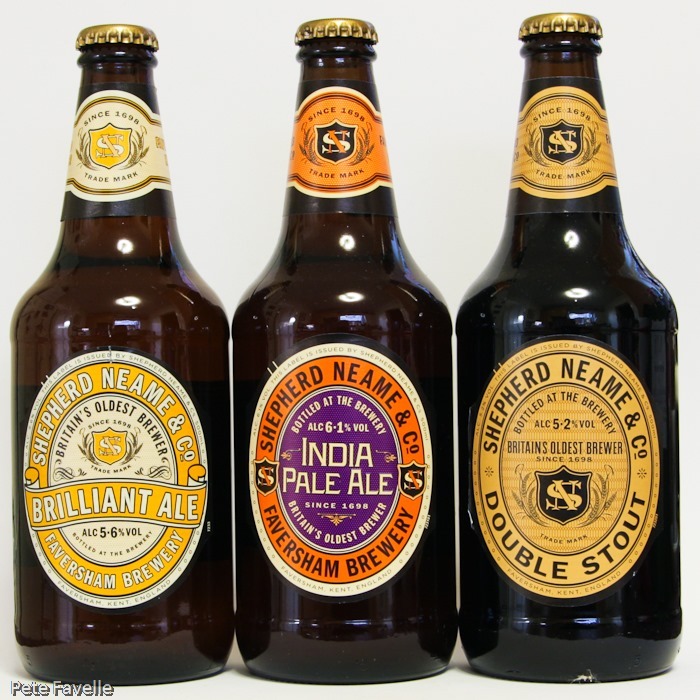 The beers are all, as you might expect from the historical basis, very traditional in style and Shepherd Neame have done a cracking job with them – especially with that stout. Let’s just hope they’re easier to track down than the likes of their heavenly Master Brew! 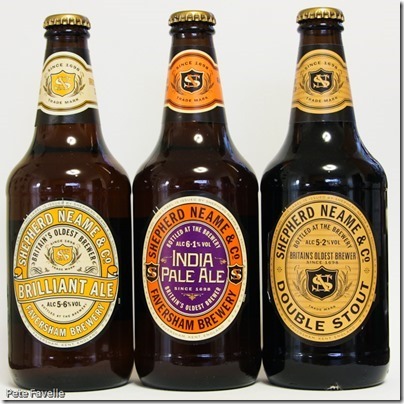 Many thanks to the folks at Shepherd Neame for sending me these to try. Nice reviews as always and really cracking photos! BTW the IPA is available in Morrisons (at least Ormskirk) and the Double Stout I’ve seen in the occasional Tesco (Formby) – no idea about the Brilliant Ale though. Morrisons have been the most reliable supplier down here too – only place I’ve found Master Brew, for example. Will have to check them out once my beer cupboard has a bit more space…!